The Yankees picked up their first series victory in three weeks against the Royals, and they’ll look to continue that streak against the other basement dweller in the American League: the Baltimore Orioles. Greg Bird’s re-emergence began in earnest in this series, when he went 3-for-11 with two home runs, nine RBI, and a couple of walks. His OPS jumped forty points by the end of the series, and has risen another thirty since then. Austin Romine had a big series, as well, going 4-for-12 with a pair of home runs. Sonny Gray had one of his best starts in pinstripes in the final game of the series, tossing six scoreless innings, and allowing just three hits and a walk while striking out eight. Check out Katie’s Yankeemetrics post for more information about the series. 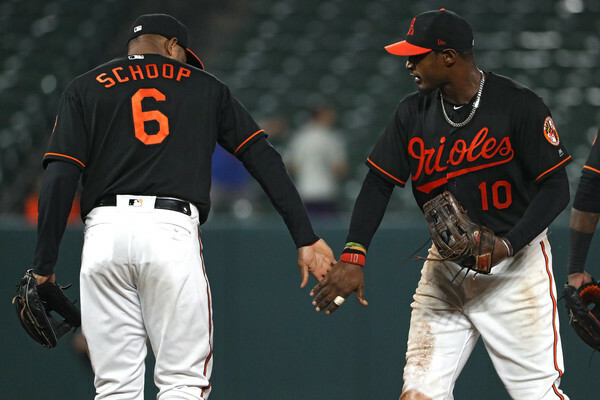 The Orioles are, by winning percentage, the worst team in the majors. They’re entering this series at 32-74, and, thanks to deals that sent Manny Machado to the Dodgers, Zach Britton here, and Brad Brach to the Braves, they’re probably a bit worse than that record suggests. Though, they did just take three of four from the Rays by a combined score of 40 to 16, and they’re 5-5 against the Yankees – you can’t predict baseball, as they say. Relievers Richard Bleier and Darren O’Day are done for the season, and outfielder Craig Gentry is out until sometime in August with a rib fracture. The Orioles are relatively healthy otherwise. Ramirez started against the Yankees back on July 9. It was the third start of his young career, and it didn’t go so well – he went four innings, and allowed four runs on nine hits and two walks. Despite that, Ramirez has been mostly effective for the Orioles since being called-up for good a month ago, pitching to a 3.49 ERA (122 ERA+) in 28.1 IP. Cobb has been something of an unmitigated disaster for the Orioles thus far, with a 6.08 ERA (67 ERA+) in 103.2 IP. He does have the built-in excuse of a late start to the season, given that he didn’t sign until March 21 – but he has yet to put together a stretch of more than two solid starts in a row. And there’s nothing in his velocity profile that indicates that he’s not at one-hundred percent, either. Though, he has stopped striking people out, with a career-low 14.8% strikeout rate. Cobb is a four-pitch guy, with a low-90s four-seamer, a low-90s sinker, a mid-80s splitter, and a low-80s curve. 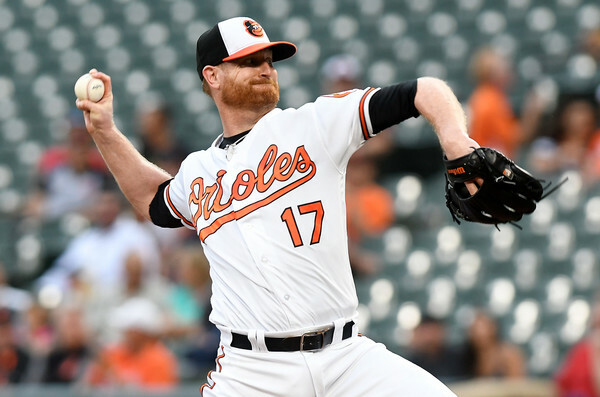 Heading into this season, the Orioles top relievers were almost certainly Zach Britton, Brad Brach, Richard Bleier, and Darren O’Day … and the first two are now playing for other teams, while the latter two are out for the season. Mychal Givens (4.78 ERA, 9.9 K/9, 4.1 BB/9) is slated to take over as closer, with Miguel Castro (3.26 ERA, 5.8 K/9, 5.5 BB/9) next in-line. Rookie Paul Fry (1.38 ERA in 13.0 IP) has been gaining more and more trust from Buck Showalter, as well. The bullpen should be well-rested, though, thanks to a light weekend (4.0 IP between Saturday and Sunday) and Monday’s day off. As was the case with the Royals, this is a bad team. And their most watchable player of the last several years – Machado – is now on the West Coast. As a result, the most interesting aspect of this series will be the Yankees ability (or lack thereof, as has been the case to-date) to beat-up on the basement-dwellers.